By now, both Meredith and I have gushed about all the “bio-celebrities” at the Gordon Research Conference on Predator Prey Interactions. How we got to come face to face with the scientists whose work we’ve read, memorized, admired for years. But what I think has been an even more exciting outcome of this research conference than getting to hang out with our scientific heros and listen awe-struck about everything they’ve done in the past that has led to their fame today, was a chance to sit down with them over a beer or glass of overpriced red, and talk about the future. Not just where our various and varied subfields have been, and not even just where they are going, but where they need to go. Where the holes are in our knowledge, and what we need to do to fill them. Much of ecology is about developing “predictive capacity.” The ability to not just describe the patterns we see in the world about us, but the ability to predict what will happen when things change. Understanding how climate change affects annual bird migrations, for example, or what losing species means for the spread of disease. We develop conceptual frameworks to tie together outcomes from different experiments and scattered observations drawn from ecosystems around the world, and these frameworks give us a way to articulate our expectations about 1) what underlying processes we think are driving the dynamics of a system and 2) a way to test those hypotheses: do the outcomes match what we predicted would happen? Or is something else going on that we need to investigate further? One of the things I slowly worked up the courage to articulate at the conference was that I think that science surrounding predator-predator dynamics really lacks this sort of integrated, synthetic, predictive framework. We draw on a whole bunch of different sets of theories to understand the patterns of suppression and coexistence apparent in apex-mesopredator (top- and middle- predator) systems. There’s a ton of theory out there on how species coexist when they eat the same thing, or how they coexist when they eat the same thing and also eat each other. There’s a lot of theory on how predators coexist with the things they eat. There are predictions for when we expect to see species able to coexist, when we don’t, and how these different outcomes change from, say, low productivity tundra to high productivity rainforests. But around the world, top predators suppress populations of smaller predators (called mesopredator suppression). It’s not because the top predators are eating up all the food, and it’s not because the top predators are eating the mesopredators. It seems to happen because the bigger guys chase, harass, and kill the smaller guys. 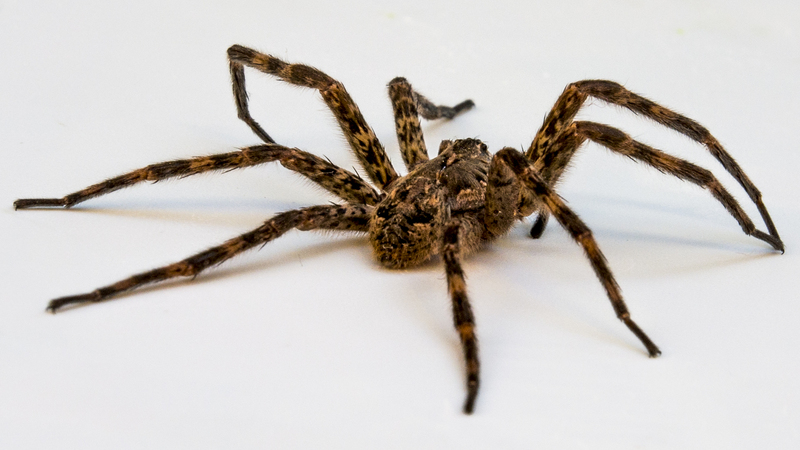 This is bad enough, but it also creates a “landscape of fear” in which that the smaller guys change their behaviors to try and avoid these aggressive encounters. There are lots and lots of ways in which mesopredator suppression can happen…but we (as a community of ecologists) don’t have a good, integrated framework for making predictions about when we expect to see mesopredator suppression vs. when we don’t. We don’t have a set of expectations about how these patterns change with different behaviors or different types of environments. We don’t have a solid understanding of what mesopredator suppression means for other small predators, prey animals, and the plants that the prey animals eat. We have lots and lots of examples of all sorts of complex things happening…but we don’t yet have the ability to predict how these things play out in new systems. And that, to me, is one of the most exciting “holes” that needs filling. How do we tie together our knowledge from all of these disparate studies, where lions suppress wild dogs but not cheetahs, or coyotes kill foxes left and right but aren’t actually the reason that fox populations are low. I guess my PhD is trying to fill a tiny, tiny bit of that hole. But it’s a damn big hole and sometimes it’s hard to see how one PhD will cover a whole lot of ground. I guess what was so exciting at the GRC is just how many other people are also trying to fill those holes…and with all of us working together, we just might actually be able to understand the world around us that much better. A few weeks ago, I wrote about how awful lions are to other large carnivores. Basically, lions harass, steal food from, and even kill hyenas, cheetahs, leopards, and wild dogs. Their aggression usually has no visible justification (e.g. they don’t eat the cheetahs they kill), but can have devastating effects. One of my main research goals is to understand how hyenas, leopards, cheetahs, and wild dogs survive with lions. As I mentioned the other week, I think the secret may lie in how these smaller carnivores use the landscape to avoid interacting with lions. Top predators (the big ones doing the chasing and killing) can create what we call a “landscape of fear” that essentially reduces the amount of land available to smaller predators. Smaller predators are so afraid of encountering the big guys that they avoid using large chunks of the landscape altogether. 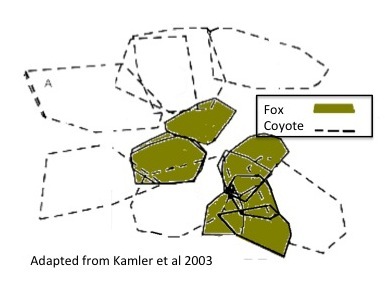 One of my favorite illustrations of this pattern is the map below, which shows how swift foxes restrict their territories to the no-man’s land between coyote territories. A map of coyote and swift fox territories in Texas. Foxes are so afraid of encountering coyotes that they restrict their territories into the spaces between coyote ranges. The habitat inside the coyote territories is just as good, if not better, for the foxes, but the risk of encountering a coyote is too great. By restricting their habitat use to the areas outside coyote territories, swift foxes have essentially suffered from habitat loss, meaning that they have less land and fewer resources to support their population. 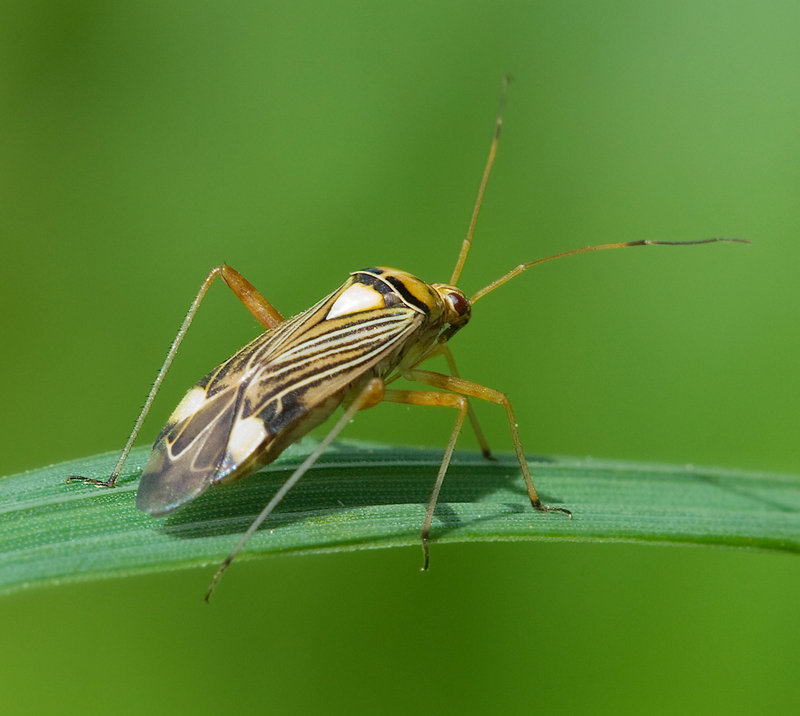 There’s growing evidence that this effective habitat loss may be the mechanism driving suppression in smaller predators. In fact, this habitat loss may have larger consequences on a population than direct killing by the top predator! While some animals are displaced from large areas, others may be able to avoid top predators at a much finer scale. They may still use the same general areas, but use scent or noise to avoid actually running into a lion (or coyote). This is called fine-scale avoidance, and I think animals that can achieve fine-scale avoidance, instead of suffering from large-scale displacement, manage to coexist. 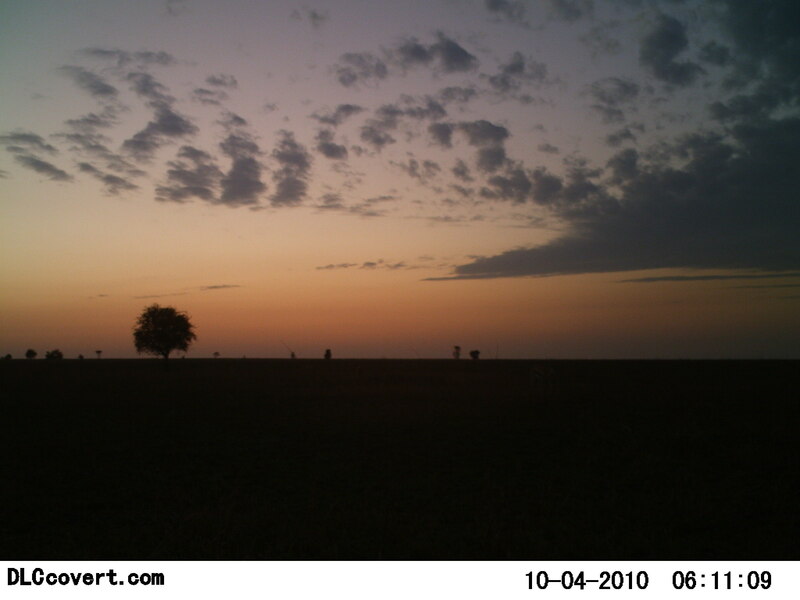 The camera traps are, fingers crossed, going to help me understand at what scale hyenas, leopards, cheetahs, and wild dogs avoid lions. My general hypothesis is that if these species are generally displaced from lion territories, and suffer effective habitat loss, their populations should decline as lion populations grow. If instead they are able to use the land within lion territories, avoiding lions by shifting their patterns of habitat use or changing the time of day they are active, then I expect them to coexist with lions pretty well. So what have we seen so far? Stay tuned – I’ll share some preliminary results next week! Map adapted from: Kamler, J.F., Ballard, W.B., Gilliland, R.L., and Mote, K. (2003b). 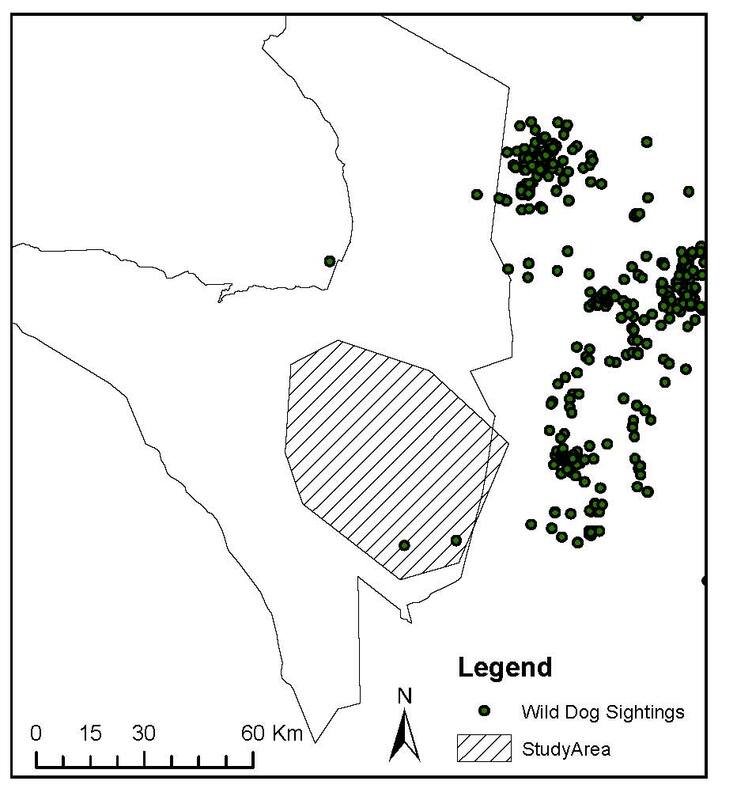 Spatial relationships between swift foxes and coyotes in northwestern Texas. Canadian Journal of Zoology 81, 168–172.